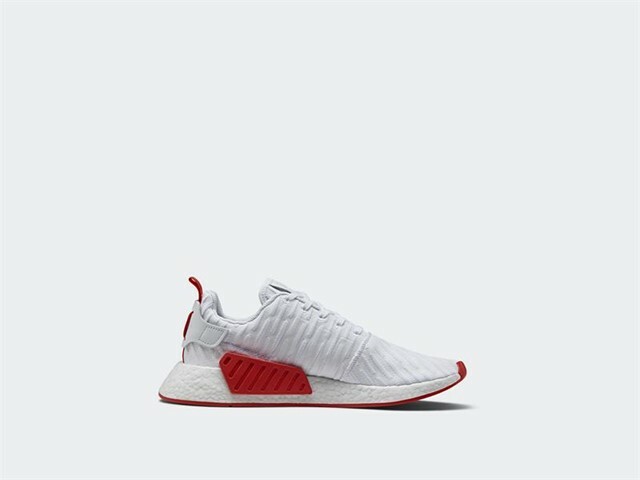 The next generation NMD_R2 silhouette gets another new color treatment this month, stepping out in an understated two-tone colorway. 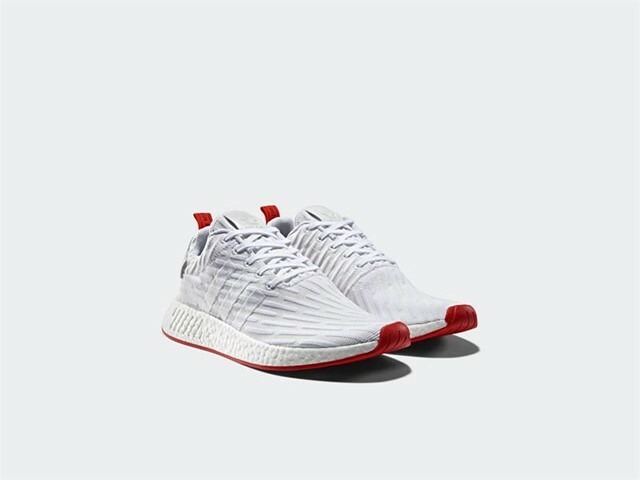 Featuring a premium Primeknit construction, the latest NMD_R2 features an engineered tonal stripe motif woven into the upper, complemented by tonal details including welded 3-stripes, laces and molded heel patch. Placed atop a classic white BOOST tooling, the design is then accented by the woven heel-tab, rubber outsole and asymmetric EVA heel insert on the shoe’s lateral side, which have been rendered in a bold Core Red palette. 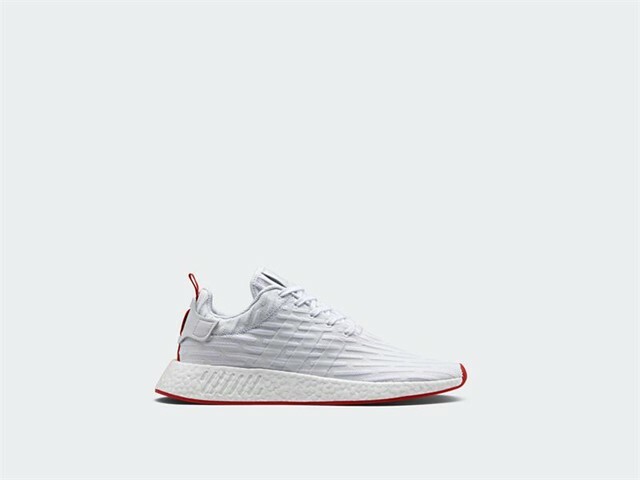 Rendering the evolutionary model of the NMD series in minimalist white with flashes of unmissable red, the release culminates as a presentation of the NMD_R2 in its most striking colorway yet.